INDIANAPOLIS — Newspaper stands and newspaper salesmen were once a common sight in downtown Indianapolis. 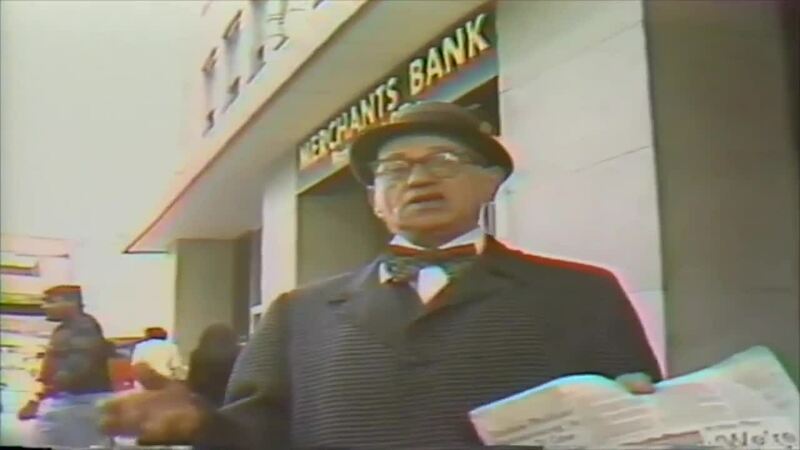 Former Channel 6 reporter Rick Sallinger spoke with one of Indy’s most upbeat newspaper salesmen in 1979. David Kempler sang, danced and sold newspapers at the corner of Delaware and Market streets. “I don’t know that much for his voice, but his merriment. It keeps him going, it keeps everybody else going,” said one man.